208 pages | 15 B/W Illus. Instead of seeking theory to justify practical professional judgments this book describes how professionals can and should use theory to guide these judgments. Professional spatial planning in the US, and globally, continues to suffer from a weak conceptual grasp of its own practice. Practitioners routinely recognize the value and wisdom of practical judgment finely attuned to context, nuance and complexity; but later offer banal testimony and glib stories of ‘just so’ best-practice discrediting the ambiguity of their own experience. The chapters in this book provide a vocabulary tailored to the conventions of practical judgment, challenging students and practitioners to treat professional expertise as work in progress rather than ‘best’ practice. Instead of seeking theory to justify practical professional judgments, Hoch describes how professionals can and should use theory to guide these judgments. The pragmatist plan helps cope with complexity rather than control it, making it invaluable in the anyone’s pursuit of a planning career. 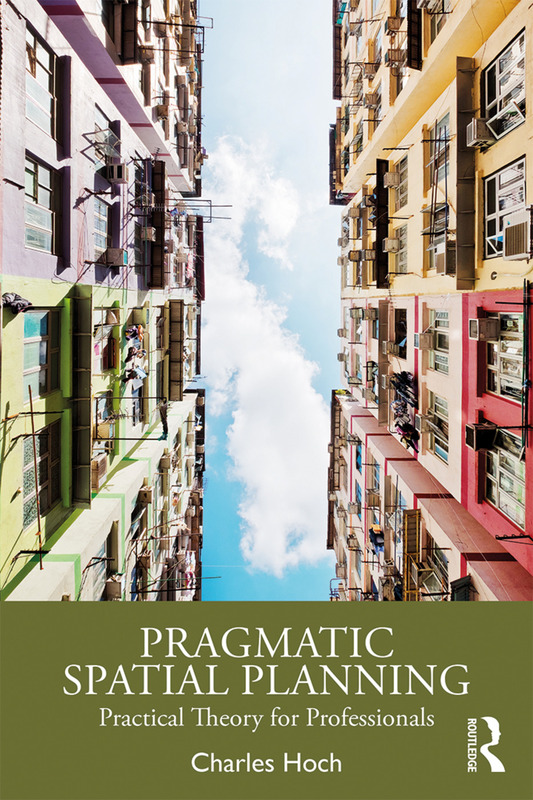 This book will appeal to a wide cross section of students and scholars, especially those working in urban planning, public policy, and government. Professor Charles Hoch studies planning activity across scale and discipline. He has spent four decades studying and proposing that we treat planning as an inherently pragmatic enterprise. Hoch received his doctorate in Urban Planning from UCLA in 1981. After a short stint at Iowa State he settled in Chicago teaching urban planning in the College of Urban Planning and Public Affairs at the University of Illinois, USA.